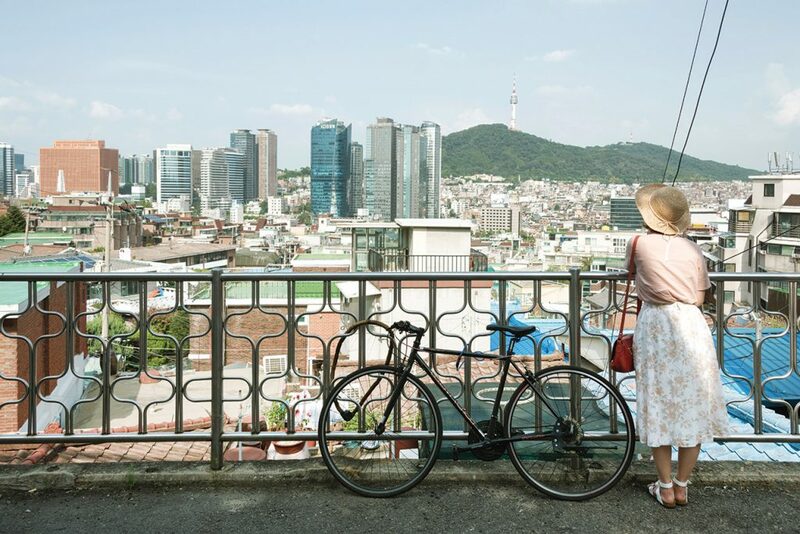 Though Seoullo 7017 is worth seeing in its own right, Seoul’s elevated park is also an excuse to discover some of the city’s most under-appreciated neighborhoods. 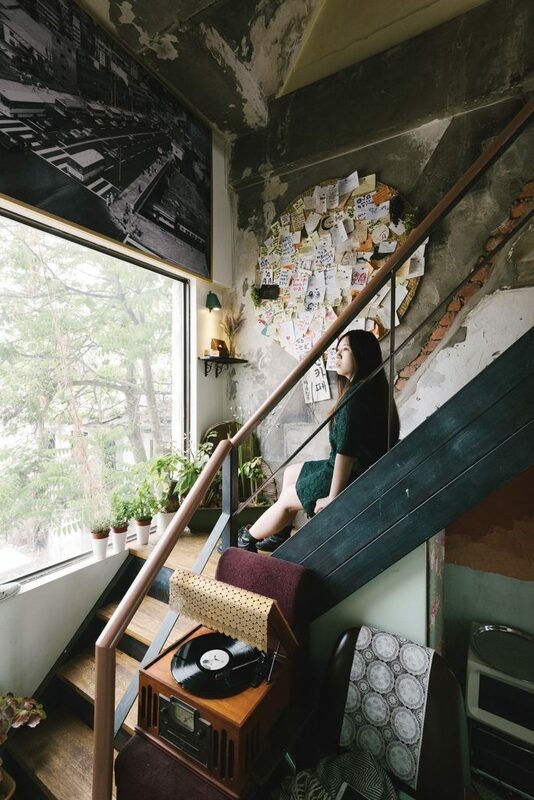 The hilly, largely working class zone west of Seoul Station is a rough batter of modern history, urban grit, residential tranquility, scenic beauty and, increasingly, creative sophistication. It’s an area you could spend all day exploring, wandering its claustrophobic alleys, taking in its panoramic views, drinking in its history and savoring its culinary offerings. Spanning the railway tracks just north of Seoul Station, the Yeomcheongyo Bridge links the Namdaemun district to the east and the Jungnim-dong district to the west. It’s also the location of Yeomcheongyo Shoe Street, the birthplace of Korea’s handmade shoe industry. Around 130 cordwainers have workshops in an aging building atop the historical bridge. Some of them have been in the business for decades. You’ll find all sorts of finely crafted shoes here, from dress shoes to hiking boots and dance shoes. Yeomcheongyo Shoe Street’s history begins in 1925, the year Seoul Station opened, leading to an influx of people and merchants. After the Korean War, local craftsmen began repairing and reselling old U.S. army boots. Soon, however, they were making handmade shoes of their own. 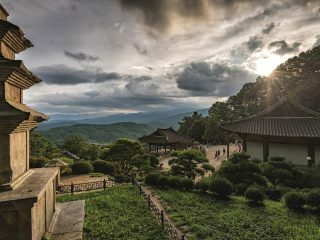 During Korea’s development years, when a pair of handmade shoes was a must, Yeomcheongyo’s merchants enjoyed a golden age. In 1974, when a bowl of jajangmyeon cost KRW 50, a pair of handmade men’s shoes cost KRW 14,000. In the 1990s, however, competition from imports and a decline in interest in handmade shoes hit Yeomcheongyo Shoe Street hard. Moreover, with less young people learning the craft, the cordwainers are growing fewer and fewer in numbers. Still, efforts are being made to revitalize the street, which many are now rediscovering thanks to Seoullo 7017. 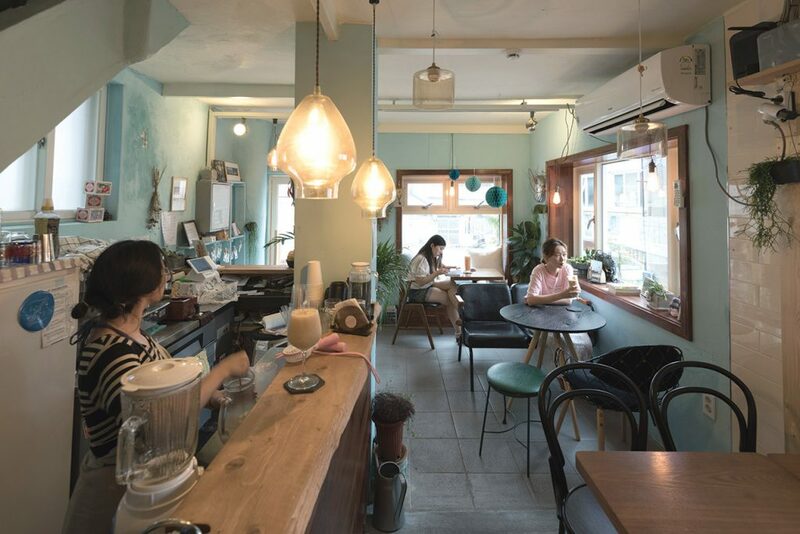 If you’re at Yeomcheongyo Shoe Street, be sure to stop into Café Moon (T. 02-393-3624), a delightfully vintage coffee shop in the historical arcade building. The menu, décor and music will really take you back, and English is spoken here. Overlooking Yeomcheongyo Shoe Street to the west is Yakhyeon Hill, or “Medicinal Herb Hill.” Crowning the hill is Jungnim-dong Catholic Church, also known as Yakhyeon Catholic Church, Korea’s oldest Western-style church. Erected in 1892 and restored in 1998 following a fire, the brick church, designed by French missionaries, mixes Gothic and Romanesque elements. It also provides views of Sungnyemun Gate and the Namdaemun district. While it might not seem like much at first glance, Malli-dong is fast becoming one of Seoul’s newest hot spots. Thanks to its position as Seoullo 7017’s western gateway, the older, hillier neighborhood behind Seoul Station is home to a growing number of trendy eateries, cafés and pubs. With a number of places of historical interest and scenic beauty, it’s a neighborhood worth exploring in its own right. The views begin as soon as you descend Seoullo 7017. In Malli-dong Square, the western entrance to the park, you’ll find Yunseul, a sunken garden that resembles an amphitheater covered by a set of stainless steel louvers. In addition to reflecting images of the city above, the louvers cast light and shadows on the floor of the garden, an uneven space composed of 2,800 steps. Its an optically mesmerizing experience. While Malli-dong Square might be spotless and new, the neighborhood around it is anything but. Malli-dong’s charms lie in its timeworn storefronts and gritty alleyways, the latter sheltering an eclectic mix of older homes and businesses and creatively renovated spaces. How long Malli-dong remains this way before it is gentrified beyond recognition is anybody’s guess, so it’s best to see it now. One Malli-dong hot spot that requires no introduction is Very Street Kitchen (T. 02-312-0205), a trendy eatery serving beautifully prepared dishes based on street cuisine from around the world. 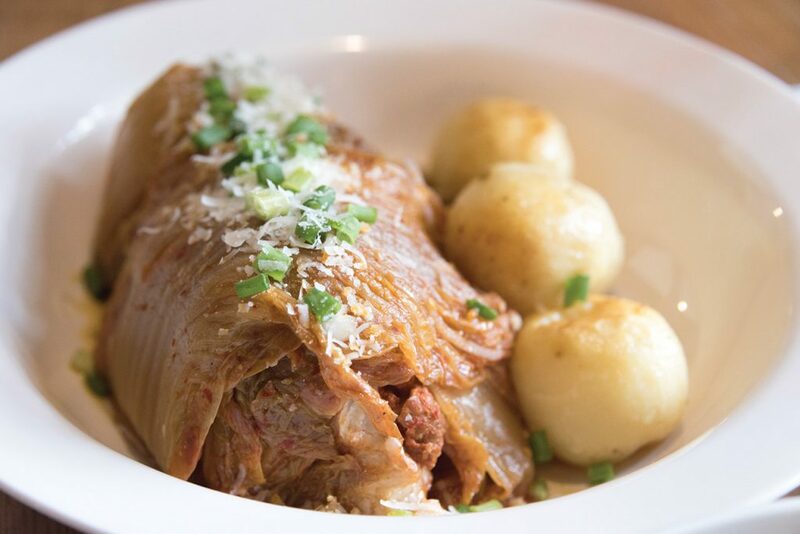 It also does creative takes on Korean cuisine such as French-style steamed kimchi and pork cooked in white wine and steamed ribs served with Milanese risotto. Housed in a century-old granite building, the restaurant exudes a flair befitting a space owned and operated by renowned furniture designer Oh Joon. Much easier to miss — thanks to the lack of signage — is Reasonable Kitchen (T. 02-363-5008), an intimate restaurant and pub tucked away on a side street. The friendly owner and chef, who grew up in the neighborhood, turns out delightful, home-style spicy chicken stew, or dakbokkeumtang, using no artificial condiments like MSG. You’ll find plenty of other Korean pub grub options, too, and the soju list boasts cheap favorites as well as high-end, handcrafted brands like Hwayo and Moonbaesool. A hidden gem is Bidulki House (T. 0507-1458-0125), a guest house and café hidden in Malli-dong’s network of alleyways. Run by the same family for three generations, the guest house is an old Korean-style inn, or yeoinsuk. 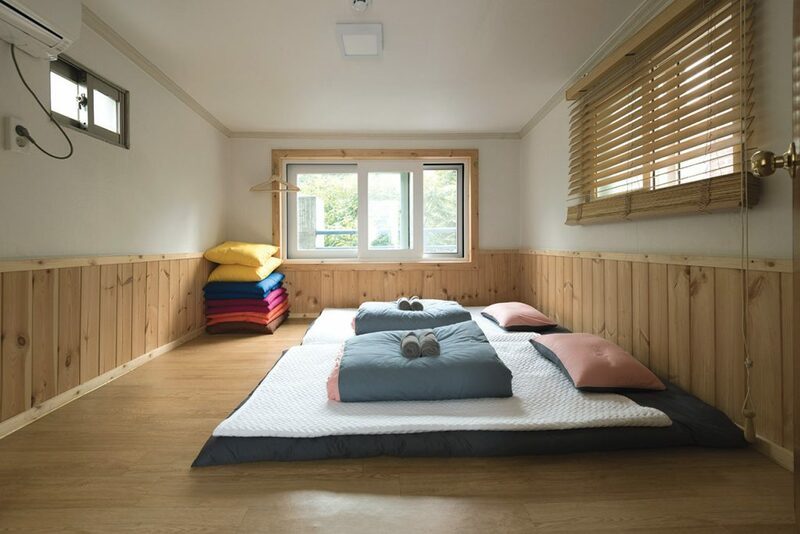 The space preserves the old yeoinsuk layout, including narrow corridors and staircases, but with tastefully renovated décor and amenities. The rooftop garden offers views of the surrounding neighborhood, including Seoul Square and Seoullo 7017. The café on the first floor is a cozy spot to relax over a coffee. 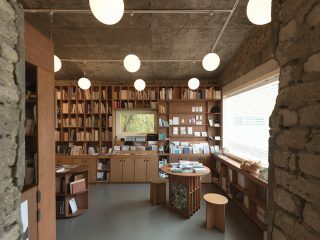 Just up the street from Bidulki House is HyunSangSo (T. 02-312-0318), an old photo processing lab that has been converted into a café and exhibition space. The wide open space, with its wooden floors, high ceiling, white walls and vintage furniture and lamps, is warm and atmospheric. 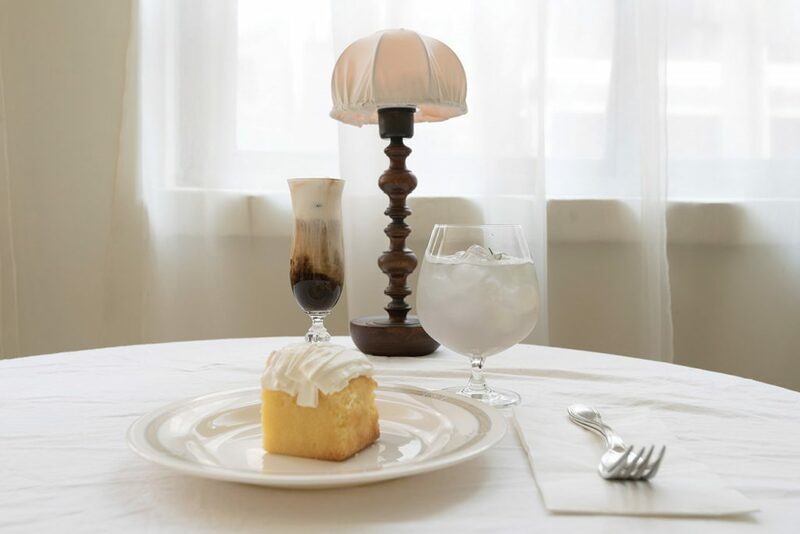 The menu, hand-written and delivered in white envelopes, includes such innovative creations as sea salt cream espresso and coconut base lavender lemonade. Malli-dong’s alleyways are full of history. Just across the street from Seoul Station is the 200-seat Baik-Chang Theater, home to the National Theater Company of Korea. Named for two of Korea’s greatest thespians, Baik Sung-hee and Chang Min-ho, the bright red complex of stacked containers and remodeled warehouses and garages used to be a motor pool for an army counterintelligence unit. In addition to the Baik-Chang Theater, the complex includes NTC Creative Space Pan, a smaller, 80-seat theater designed for cozier performances. Not far from the Baik-Chang Theater is Gaemi Supermarket, an old colonial era home that has served as a local grocery store and meeting place for decades. Recently repainted red, the shop, which is still a functioning grocery store, is covered in Polaroid photos of the many visitors who have come to see this little piece of old Seoul. Further along, across the main street, Mallijae-ro, atop a hill overlooking the neighborhood, is Son Kee Chung Memorial Hall, a museum dedicated to Son Ki-chung, the gold medalist in the marathon in the 1936 Summer Olympic Games in Berlin. Growing in front of the museum, the former main hall of Yangjeong Middle School, Son’s alma mater, is an old laurel tree, a gift to Son from, ahem, the German chancellor at the time. To explore Cheongpa-dong properly is to get lost in its web of alleyways, discovering what lies just beyond every corner. Sitting atop a hill, the neighborhood offers fine views over the city, particularly the Seoul Station area and, beyond it, Mt. Namsan. Although older neighborhood institutions such as Cheongpa-dong Photo Studio and Waffle House (T. 02-711-2649) are slowly being joined by newer cafés, restaurants and businesses, the area is still mostly quiet and residential. On the western slope of Cheongpa-dong’s hill is Malli Market, an old-school outdoor market where you can find food, groceries and sundries. Hidden in one of the market’s alleyways is Seongu Barbershop (T. 02-714-2968), one of the the city’s most fascinating pieces of living history. Run by Lee Nam-yeol, a third-generation barber, Seongu Barbershop has remained virtually unchanged since Lee’s grandfather founded the place in 1927. Indeed, the only alteration made to the ramshackle wood buildings with misaligned doors and a noticeable tilt is the slate roof, which replaced a straw roof that blew away in a typhoon in 1959. While the place may look like it’s on the verge of collapse, it keeps going strong with a loyal customer base who treasure Lee’s old school haircuts and the authentically vintage charm of his establishment. Cheongpa-dong’s younger side can be experienced around Sookmyung Women’s University. As you’d expect, the area surrounding one of the city’s major universities boasts a wide range of cafés and restaurants catering to a student clientèle. 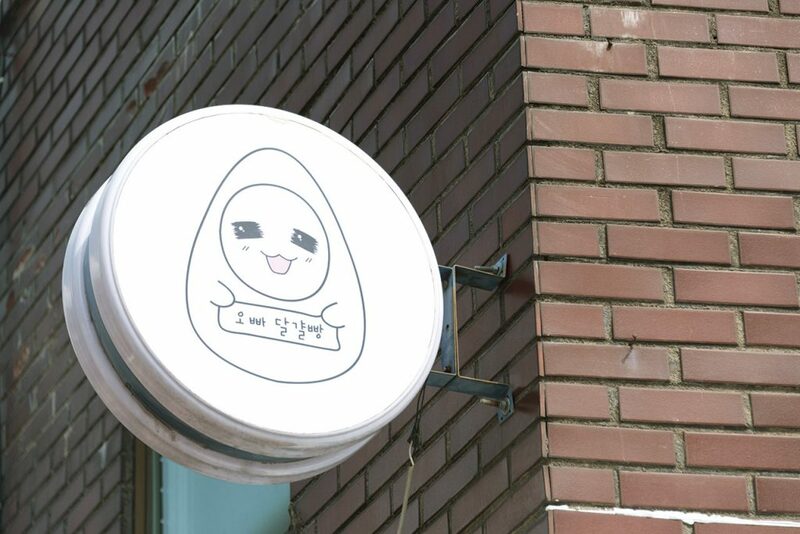 One local favorite that should not be missed is Oppa Egg Bread (T. 02-706-7180), a small shop serving “super big” egg bread, a snack of sweet bread baked with egg, cheese and other fillings. Gone is the rooftop sign that once implored, “Eat me, baby,” but the cheap, tasty bread remains. 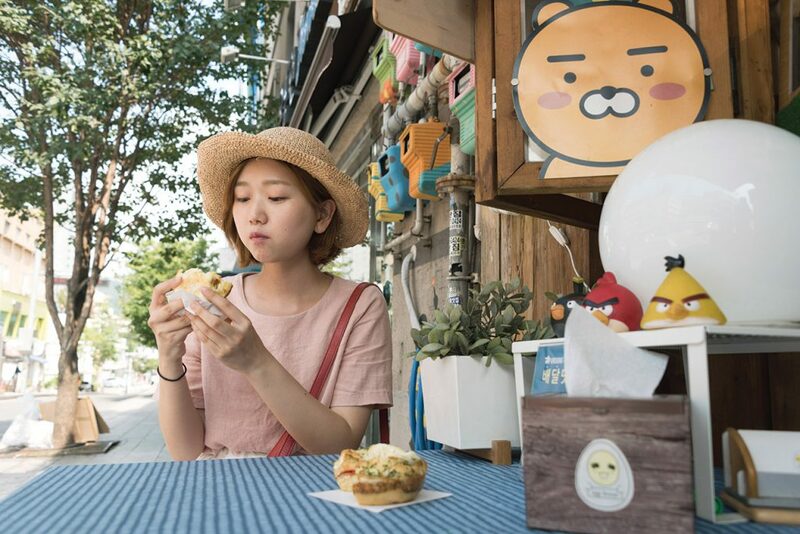 For more substantial, but still reasonably priced eats, head to Goobok Mandu (T. 02-797-8656), a dumpling shop near Exit 3 of Sookmyung Women’s University Station. 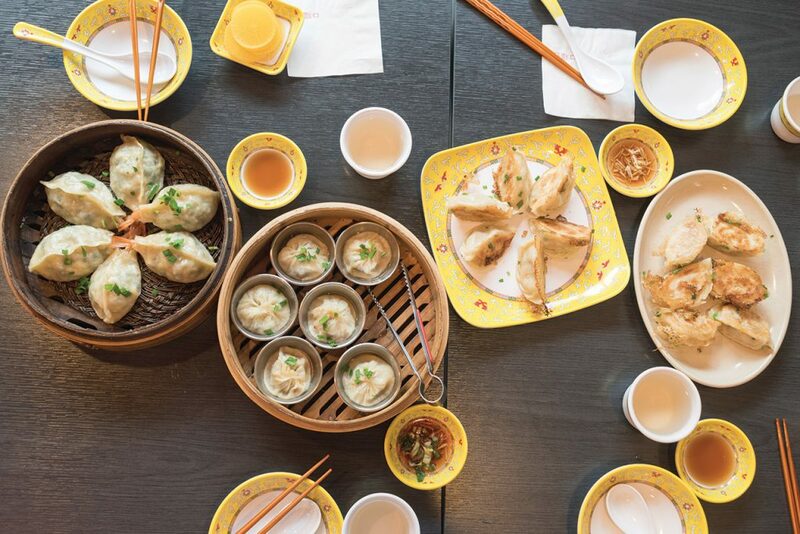 Cozy, simple and cheap, the shop’s authentically Chinese dumplings, based on a recipe handed down by the Chinese owner-chef’s grandmother, are so good that they earned the place a mention in the 2017 Michelin Guide Seoul.